A joint is an interface (area of contact) between adjacent components of an ultrasonic stack. The purpose of the joint is to efficiently transfer ultrasonic energy across the joint. Typical joints include the transducer-booster joint and the booster-horn joint. Joints are typically secured by threaded studs which permit easy assembly and disassembly. However, other means of securing (e.g., welding or adhesives) are sometimes used. Ultrasonic problems will result if a joint deteriorates due to fretting. For axial mode vibration, resonators are designed to vibrate in half-wave increments where each end is an antinode. Hence, the antinode ends are natural attachment points between adjacent resonators (e.g., between the horn and booster). The ultrasonic (inertial) forces at these antinode joints are low so relatively little static force should be needed to adequately secure these joints. However, joints are sometimes located away from antinodes (e.g., for tips). Joints for many of the components in a piezoelectric transducer are located away from the antinode. The following table shows typical machining specifications. BUC - 1-slot 4.5" wide bar horn with ears. Contact between resonators usually occurs at the resonator's nominal dimensions. For example, suppose a booster's nominal output diameter is Ø40 mm in order to achieve the desired gain. Then it would normally be joined to the horn at the Ø40 mm diameter. However, this might not be optimal. In fact, there are several instances where a reduced contact diameter has shown improved performance. This reduced contact diameter is achieved by machining a short boss on either the output surface of the booster or the input surface of the horn. Since the boss height is small (e.g., 0.5 mm), the frequency and gain of the associated resonator are relatively unaffected. Fretting will result if there is relative (frictional) motion between the two mating joint surfaces. Such relative motion can only occur if the joint surfaces are subjected to driving forces. If the joint is located at a longitudinal antinode then, in theory, no force should be present. However, this strictly applies only to thin resonators where the material on each side of the antinode is the same. If these conditions are not true then there may be incompatibilities in amplitude uniformity or radial amplitudes at the joint. Such incompatibilities induce the forces that may lead to fretting. What about joints that are located away from an antinode (e.g., for tips)? Although these joints experience inertial forces, these forces are aligned with the resonator axis, rather than in-plane with the joint surface. Hence, such joints will not necessarily experience fretting. The probability of fretting increases with the joint amplitude. For example, fretting is rarely a problem at the transducer-booster joint which has low amplitude (e.g., 10 microns peak at 20 kHz). However, fretting can be significant at the booster-horn joint when a 2.5:1 booster is used. In its natural state titanium is relatively inert. This is due to an oxide film that quickly forms over any raw titanium. However, raw titanium is very reactive in the absence of this oxide film. Thus, if the oxide film is abraided (e.g., by fretting) then the exposed titanium will tend to react with an adjoining metal. This is particularly true if the adjoining metal is also titanium (e.g., a titanium booster mated to a titanium horn). This titanium-titanium fretting is a particular problem for orthopaedic joint replacements and has been studied extensively. A stud distorts the amplitude across a joint. The distortion depends on the modulus of the stud relative to the resonator. For example, consider a joint between two Ø40 mm resontors, one made of Ti-6Al-4V and one of Al 7075-T6. The following table shows the relative axial amplitude uniformities of these resonators. In a typical resonator the thread that accommodates the stud starts close to the interface surface (except typically for a countersink at the thread's entrance). Then when two such resonators are tightened together the clamp force of the stud on the joint is concentrated a the joint nearest to the stud. Moving radially on the joint away from the stud, the clamp force decreases, declining to a minimum at the edge of the joint. This nonuniform clamp force distribution can lead to fretting, especially toward the joint periphery where the clamp force is low. 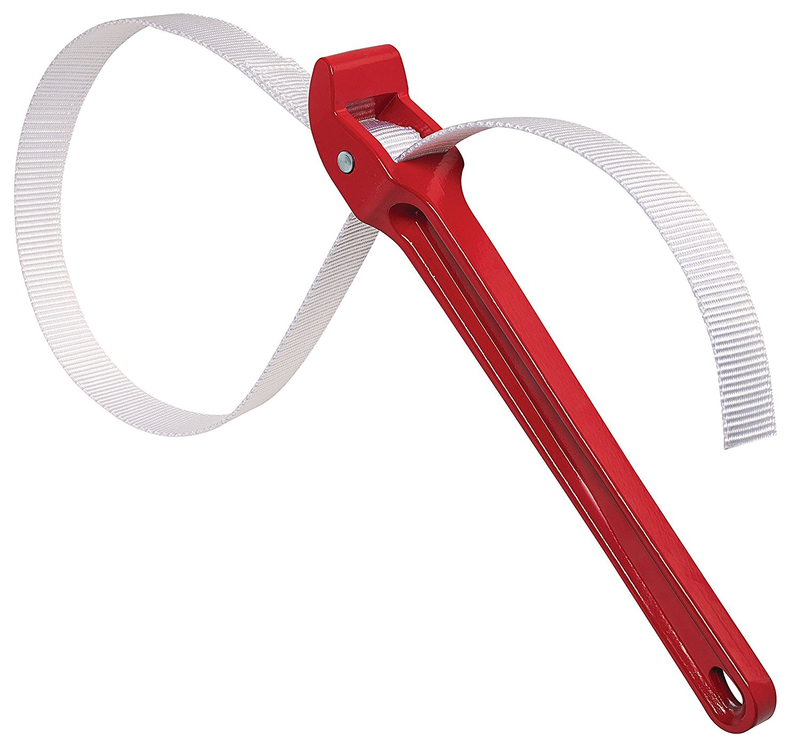 Stegelmann patent 6841921B2 claims that the clamp force distribution can be improved and fretting can be reduced by a design whereby the stud only engages the resonator's threads away from the joint. This is accomplished either by removing a central portion of the stud threads (necking the stud) or by counterboring the resonator's threads so that these threads are removed to the desired depth. Then the force of the stud is exerted from deeper within the resonator rather than near the joint. Then the force on the joint is more evenly distributed across the joint. While the theory behind the Stegelmann patent is valid, the novelty (for patent purposes) seems doubtful. For example, this method has been used to improve the static pressure distribution across the piezoelectric ceramics in a transducer. (See details.) In any case, counterboring of tapped holes is not uncommon so restricting this practice at an ultrasonic joint would seem unreasonable. Culp minimized this problem by removing resonator material adjacent to the stud, thereby leaving a contact ring only near the periphery of the resonator's face. For example, for a resonator (e.g., booster) with a 40 mm face diameter, a Ø30 mm x 0.5 mm deep cavity was machined into the face, thereby leaving a 5 mm wide contact ring around the periphery. Because this contact ring is relatively narrow, the force distribution across the ring is relatively uniform. Various interface materials have been tried in order to extend joint life. 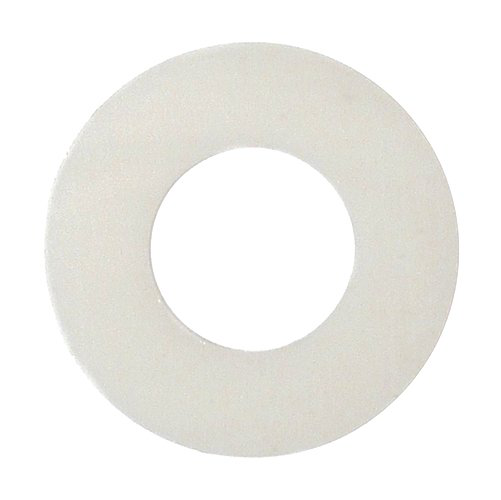 Thin disposable shim washers have been used. Shim materials include copper and brass, typically less than 0.2 mm thick. A number of ultrasonic companies now recommend mylar washers. Mylar washers are normally used without lubricants. In most cases the washer will last longer in production. Interface fretting (deterioration) is reduced. Stack assembly is more consistent since the washers have consistent thickness. Stack disassembly will often require less torque and reduce the possibility of damaging components. However, Dukane (p. 13) also notes that mylar washers will creep under pressure so a maintenance plan should include periodic inspection and replacement. Several companies recommend mylar washers as a first choice. However, they may recommend silicone grease as a (generally less effective) alternative. Dukane (p. 13) recommends a thin layer of Dow-Corning #4 high temperature, high pressure silicone grease (or #111 as an alternative). Branson (p. 2) recommends Dow-Corning #111 for 40 kHz stacks — "Typically, 40 kHz does not generate enough amplitude to create fretting corrosion." However, for 15 kHz to 30 kHz stacks Branson says that using mylar washers (instead of silicone grease) will minimize fretting corrosion. High pressure anti-seize greases have been used effectively. Of these, molybdenum based greases (such as Dow Corning's Molykote M-77 (dowcorning.com), suitable up to 400°C) are popular. Others may be equally effective. Many lubricants may not be suitable where biocompatibility is required. At one time stopcock grease was widely used. However, stopcock grease is designed to seal against vacuum leaks in laboratory chemical equipment. Its lubricating properties are poor and it leaves a hard residue after long term use. If the above suggestions are not adequate then the following can be tried. Increase the horn gain. This will reduce the amplitude at the booster-horn joint. Eliminate the joint. Make the horn and booster from a single piece of material (i.e., a full-wave horn), thereby eliminating the troublesome joint. This may be somewhat unrealistic if the horn is rectangular, especially if the horn is large so that significant raw stock removal would be required in order to achieve the booster shape. Fuse the joint. The joint can be fused by electron beam or laser beam welding. These might require a raised pad on the horn in order to allow the beam to access to the joint. Spin welding and brazing might be possible, depending on the horn and booster materials. However, spin welding is typically reserved for high volume applications. The fused joint might be formed by hot isostatic pressing (HIP) — e.g., see Ehlert patent 8,459,122 B2. They can strip out the spanner holes with continual use, particularly with aluminum resonators. They are only suitable for cylindrical resonators. They are not available for small diameter resonators. The torque that can be applied is limited, either because the spanner's pin will break or the pin will slip from the spanner hole. 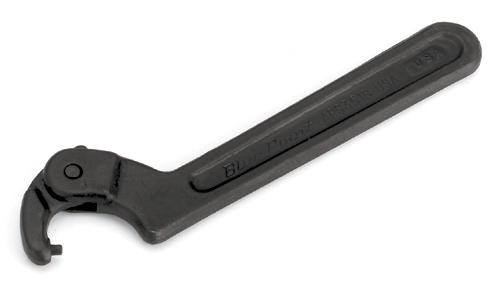 Spanner wrenches can be advantageous where there is limited room for a conventional wrench or when a conventional wrench would be unacceptably large. 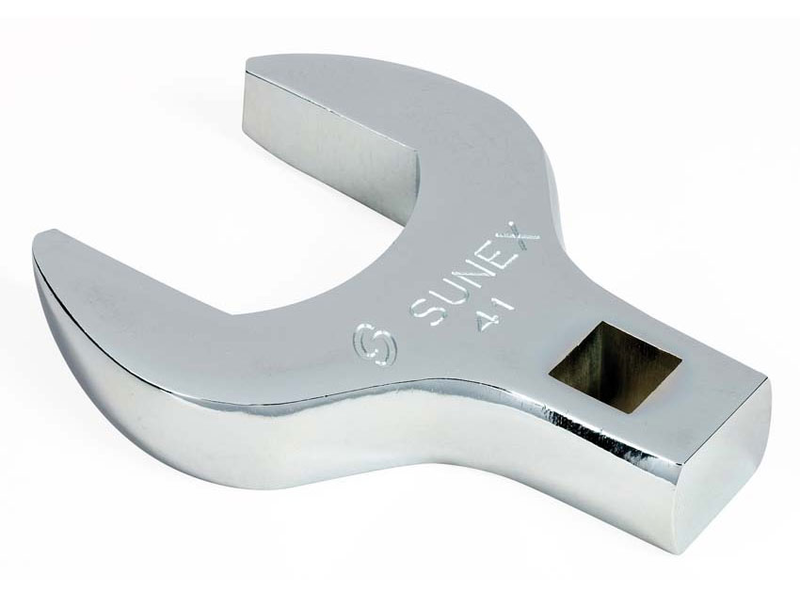 If a resonator does not have a means for applying a wrench (e.g., a bar horn, block horn, or large cylindrical horn) then a fabric or rubber strap wrench may be used. Alternately, it may be clamped in a vise with soft jaws (e.g., aluminum or copper) so that the resonator's surface will not be marred. Otherwise, such marring could be a location for fatigue crack initiation. When tightening a joint, the booster should not be held by its mounting rings and the transducer should not be held by its housing. 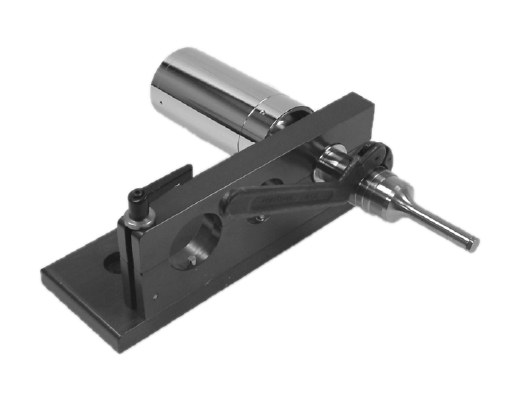 These typically have anti-rotation pins that are not designed to withstand high torque. A certain static force is needed to maintain intimate contact between mating joint surfaces. Since the applied static force can't be easily measured, joint torque is used as a proxy. However, the force exerted by a given torque will depend on factors such coefficients of friction for the joint and threads, machining (joint finish, perpendicularities), contact area, thread pitch, etc. Thus, joint torque is an inexact measure of joint force. Hence, comparisons among torque recommendations are difficult to evaluate. Table 1 shows that Dukane recommends significantly higher tightening torques than Branson. Dukane notes that, "Horn and booster torque specifications are higher than stud torque specs. Be sure to tighten the horn or booster joints to the higher torque limits." (p. 14) On the other hand, Branson's joint torques are generally less than its stud torques, ostensibly to keep the bottomed stud from loosening from the bottom of the stud hole as the joint is tightened. (Culp) However, the joint torque of Branson's metal welder (108 Nm, below) is 2x greater than its recommended torque of 51 Nm for the ½‑20 stud; none-the-less, these joints are relatively trouble free. Also, in one case a Branson customer tightened the horn to a titanium booster at approximately 3x Branson's recommended torque and reported good results. (Culp) However, they may also have changed joint lubricants at the same time. Thus, the wide variation in joint torques shows that the effects of joint torque on performance and joint longevity are not well understood. In shear welding applications (metal welding, tube sealing) the horn's output surface is on the side of the horn rather than on the face. (See figure 5.) When the static (transverse) load is applied to this output surface, the joints experience bending moments that tend to cause the joints to open. Hence, the joints must be tightened tighter than normal. The seam welder uses decoupling disks. (Stapla Ultrasonics, p. 14) "The coupling surfaces must be free of grease and oil." The lack of lubrication means that the resulting axial force at the joint will be less than othewise expected. Cardoni indicates that a "tighter" joint reduces nonlinear behavior (figure 8.18, p. 173). However, no details of the test are given so generalization of this conclusion is difficult. See here for standard tips. Joints may deteriorate over time. The exact deterioration rate for a particular stack configuration can't be easily estimated; it must be established through experience. Dukane (p. 15) recommends inspecting the stack joints after the first 200-400 hours of operation. If the joints are acceptable then double the inspection interval. However, if the joints require reconditioning then halve the inspection interval. If an interface surface has deteriorated then it can often be reconditioned by removing a small amount of material. If the deterioration is slight then the surface can be reconditioned by hand. The following process is recommended (with slight variations) by Branson (p. 3), Dukane (p. 25), Patsonics, and Sonics and Materials (p. 20). Removed the stud (as needed) and wipe the surface clean. Tape a clean sheet of #400 grit (or finer) emery cloth grit side up to a clean, flat surface such as a piece of plate glass. Hold the resonator between the thumb and index or middle finger near the bottom of the resonator. This position will reduce the tendency of the resonator to rock (which would produce a convex surface) or shudder. While applying minimal downward force, push or pull the resonator gently across the emery cloth in one direction. (Note — Sonics & Materials recommends a figure 8 pattern. However, Patsonics specifically states that the resonator should be pulled in a straight line, "not in a figure 8 or other pattern.") Repeat once. Rotate the resonator 120° and repeat step 4. Repeat. Repeat steps 4 and 5 until all pitting and contamination have been removed. Place a straight edge, such as the edge of a metal ruler, across the repaired surface and hold this up to the light. If any light can be seen at the periphery of the repaired surface then the surface is convex. This surface can only be repaired by machining.